Agave is a large genus of succulents forming rosette shapes. Agave species vary widely, some are dwarf species and others are huge plants capable of growing up to 10 feet tall. They can be cultivated in ground making for an attractive and interesting landscape. They can also be grown in pots or containers. Most agave plant will tolerate intense sun and heat and are very hardy plants. Some agave plants are more cold resistant than others, depending on the region where they are from. Agave Parryi, also known as Parry’s Agave come in several different varieties. They have grayish blue-green leaves with remarkable contrasting edges and tip, usually maroon or dark brown in color. Mature plants can grow up to 3ft (90cm) tall. They are remarkably cold hardy, especially the mature plants. Native throughout the Southwest, Agave Palmeri is one of the largest agave species found in the U.S. Their blue-green leaves can grow up to 4 ft (120cm) long with spiky reddish edges and sharp spines at the end. Usually solitary in the wild. Echeveria is a large genus native to Mexico, Central America and South America. They form rosettes that vary in shapes, sizes and color. Many echeveria hybrids have been made. 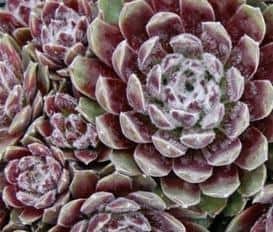 Echeveria hybrids are not as frost tolerant as the naturally occurring ones. 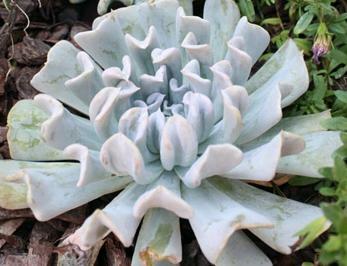 Echeveria Lilacina have bluish-gray leaves that grow in a neat, symmetrical rosette. These are fairly slow growing and usually solitary. They produce beautiful showy flowers that are pink or coral colored. 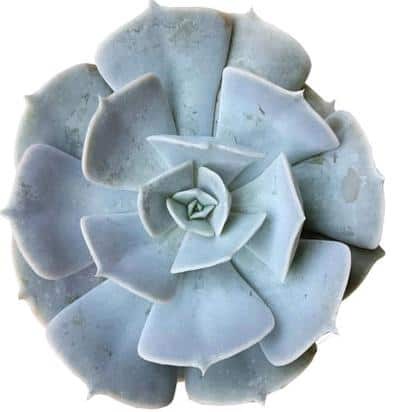 Echeveria Runyonii ‘Topsy Turvy’ is a fast growing succulent with crested rosettes. They have blue-grayish leaves that are distinguishable leaves because they curve inwards towards the center of the plant. They form short spikes of flowers that are red in color. 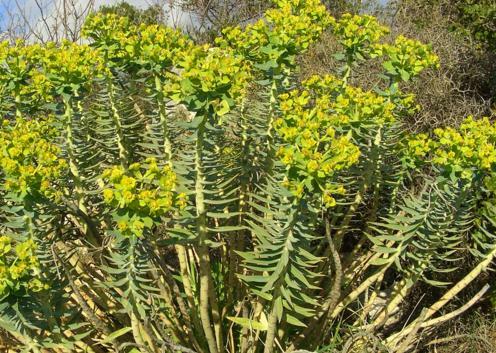 Euphorbia is a very large and diverse genus with over 2,000 species. Euphorbias come in a variety of different shapes and sizes, from small low-lying plants to tall giant trees. The bulk of the succulents species come from Africa and Madagascar, with a few from the Canary Islands, the Americas and India. Euphorbia Royleanna, also known as Royle’s Spurge hails from the Himalayan mountains. They are cactus-like in appearance and can be mistaken for one. They can be found growing in small shrubs or tall and tree-like, up to 5 ft (1.5 m) tall. They have short, small needles along their stems. Native to the Mediterranean, Euphorbia Rigida (Upright Myrtle Spurge or Silver Spurge) are blue-gray in color with spiky leaves. They form beautiful pale green and yellow flowers from the top of the leaves. 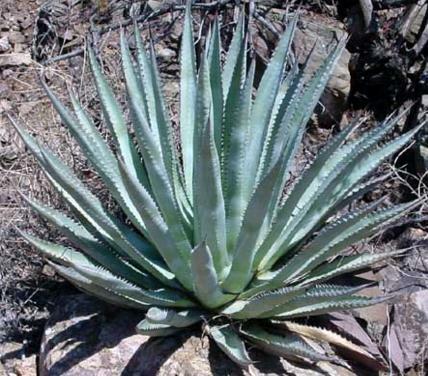 Aloe is a large genus consisting of small dwarf species and large tree-like species growing up to 30 feet (10m). Smaller aloe species, dwarf species and hybrids do well in the shade and make very good indoor house plants in pots and containers. They have thick, fleshy, green to bluish-grey-green leaves. Some varieties have whites flecks on the stem surfaces. They spread by producing clusters and offshoots. 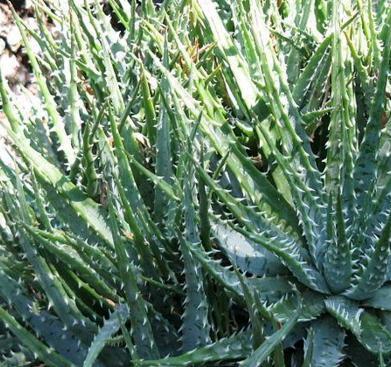 This hardy aloe can grow well in the shade or full sun and is one of the most cold tolerant species of aloe. They can grow up to 18in (45cm) tall and 2ft (60cm) wide. They have gray bluish-green leaves and produce spikes of orange flowers. 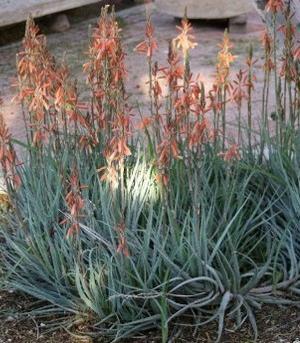 Aloe Humilis (Spider Aloe) is hardier than most small aloes and can tolerate periods of frost. Native to South Africa, small clusters that can grow 12 in (30cm) wide. Their leaves are pale blue-green in color with white teeth along the edges. Graptopetalum Bellum (Tactius Bellus) is native to northern Mexico. It forms flat rosettes with triangular leaves. The rosettes cluster as they age and can measure up to 4.4in (12cm) in diameter. Each rosette, when mature, can produce several flower stalks with bright dark pink flowers. Graptoveria ‘Silver Star’ is a widely available hybrid between graptopetalum filiferum and echeveria agavoides var. Multifida. These are low growing rosettes that are pale green in color with white thread-like tips that turn red in full sun. They produce clusters of pink flowers. These tolerate brief periods of frost. Sedums, or stonecrops, are easy succulents to grow. Sedums are low growing, evergreen perennials that are appropriate as groundcovers or trailing plants when grown in containers. They offer a variety of interesting shapes and sizes for the garden. When growing sedums, it is important to note that sedums require very little attention.They thrive in bright, sunny locations but would also do well in low light areas. 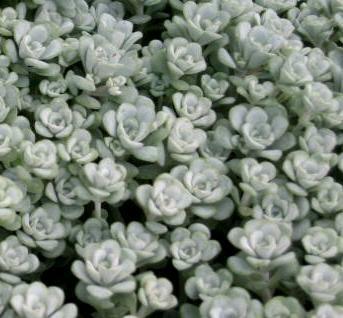 They are able to withstand heat, lots of sunlight with little precipitation, and many species of sedum are incredibly cold-hardy. Sedum Spurium (Dragon’s Blood Stonecrop) is one of the cold-hardiest sedums out there. It is fast growing and suitable as ground cover but can also be grown in containers. The color of the leaves turn from green to reddish-purple to a deep red depending on the season and light conditions. 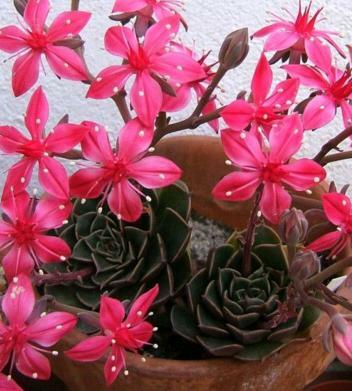 They produce star-shaped bright pink-reddish flowers. These are cold-hardy and drought tolerant plants. Sedum Spathulifolium (Broadleaf Stonecrop) have spade-shaped leaves that form tight cluster of rosettes. They are native to North America and are easily planted and grown in different conditions. They are drought resistant and cold-hardy. Sedum Makinoi ‘Ogon” is usually used as ground cover. Known for their bright yellow or golden foliage, they grow densely and can reach 2in (5cm) in height and 12in (30cm) wide. 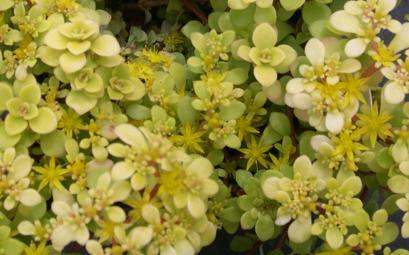 Like most sedums, they are hardy plants and cold-resistant. Sedum Tetractinum ‘Coral Reef’ can grow larger than other sedums reaching 3in (7.5cm) tall. They grow by sprawling widely up to 12in (30cm) wide. They have round flat leaves that turn coppery pink with age. They produce star-shaped flowers. 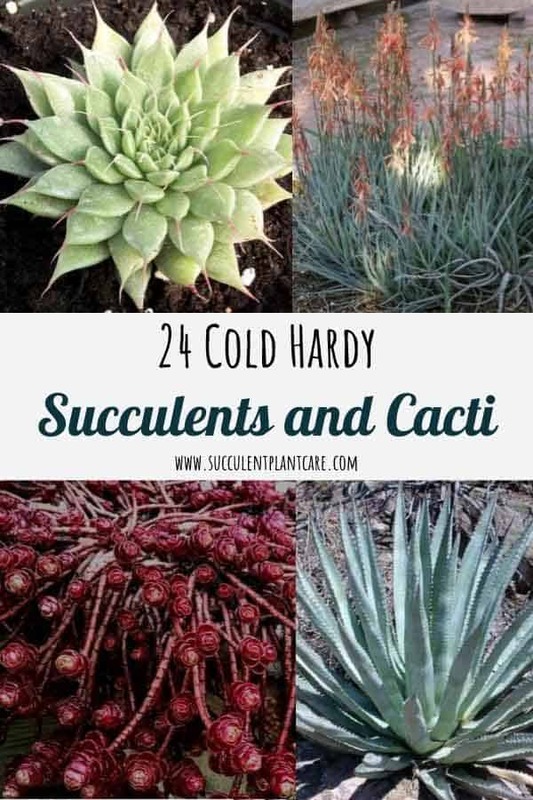 Generally low maintenance plants that are also cold hardy. Sempervivums (Houseleeks or Hens and Chicks) are large genus of succulent plants. These are very popular and many hybrids have been formed. They are cold hardy, drought and heat resistant making them popular outdoor plants. They multiply by growing clusters of small baby chicks around the mother plant, giving them their name “Hens and Chicks”. The clusters of rosettes can remain small or can grow up to 8in (20cm) wide. To propagate, extract the baby chick from the mother plant and plant as is. Hens and chicks are easy to grow and come in many different varieties of colors, sizes and textures to choose from. Some can grow very large and some remain tiny. They can grown in full sun or partial shade. They can be used in landscapes or planted in containers. 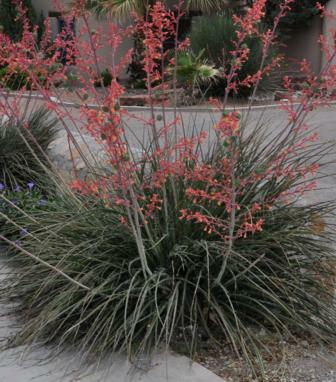 Red Yucca is commonly used in landscape settings and can grow up to 3ft (90cm) tall and 4ft (122cm) wide. Not really a yucca, they have yucca-like leaves that blue-green in color, long and narrow with white fibers along the edges. They can tolerate both full sun and shade, and are cold resistant. They produce reddish pink flowers with tall stalks growing to 5ft (1.5m) tall. Yucca Rigida (Blue Yucca) have powder blue leaves with yellow margins and sharp tips that form a rosette on top of a trunk. They can grow up to 12ft (3.6m) tall, and the leaves can grow up to 3ft (91cm) long. They produce showy 5ft (1.5m) stalk with white flowers. 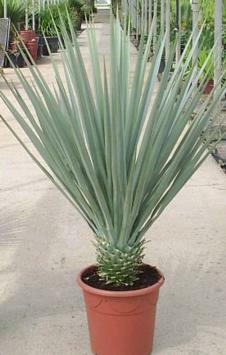 Blue Yucca can tolerate full sun and are cold resistant. Echinopsis is a large cacti genus. Native to South America, they are also known as Hedgehog Cactus, Sea-Urchin Cactus or Easter Lily Cactus. The species range from small cacti to large tree-like ones. Some popular ones are echinopsis oxygona or easter lily cactus and echinopsis aurea. They are known for their large, dramatic and beautiful flowers with long flower tubes which appear much larger than the cactus they are coming from. Its name has Greek origins– ‘echinos’ means hedgehog or sea urchin, and ‘opsis’ means appearing. Most species of echinopsis are cold-hardy. Some Echinocereus species are cold hardy. 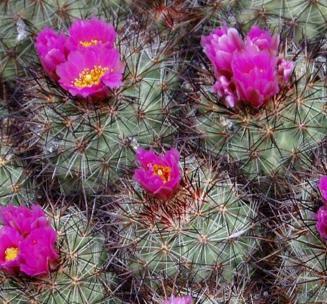 They are also known as ‘hedgehog cactus’, a term also used for Echinopsis. They do well outdoors and as container plants. These are small to medium-sized cacti. They grow in cylindrical fashion, with densely tight spines and produce eye-catching flowers in outdoor settings. They are easier to grow than other cacti. They need bright light and good drainage is essential. Commonly referred to as ‘pincushion cactus’, mammillaria is one of the largest in the cactus family with about 250 species. They are also one of the most common in cultivation. The species vary from very small to large clusters. Most are native to Mexico, but can also be found in southwest USA, the Caribbean, South and Central America. 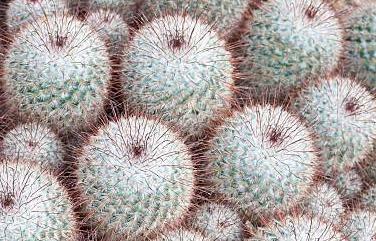 Many mammillaria species are very easy to grow and will tolerate mild frost and extreme heat. 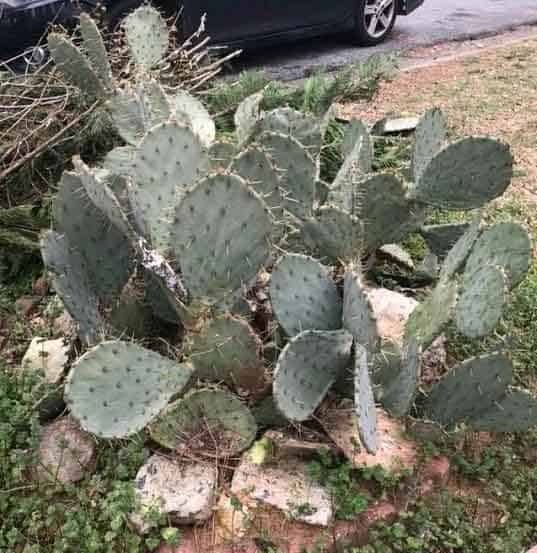 Many Opuntia (Prickly Pear Cactus) species are cold-tolerant. 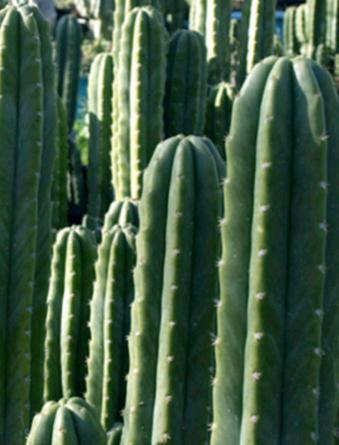 They can be easily identified from other cacti species by their round, flattened joints called pads. Their fleshy pads grow in segments or columns. Their unique shape and large showy flowers make them an ideal choice for your garden or landscape. These plants have long been cultivated in Mexico as a food source for their edible fruits and as natural sweeteners. These plants need to be handled with caution due to their sharp spines. They can also be grown in containers to help control their growth. 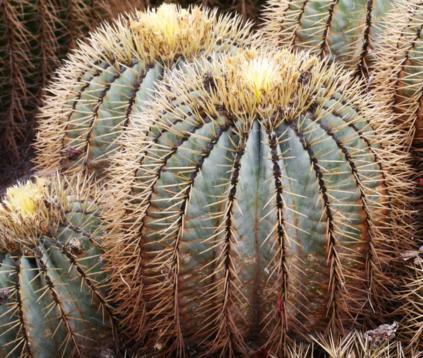 Orocereus (Old Man of the Andes) are known for their long-hair-like covering and sharp spines. This genus has become quite popular and is readily available in cultivation. 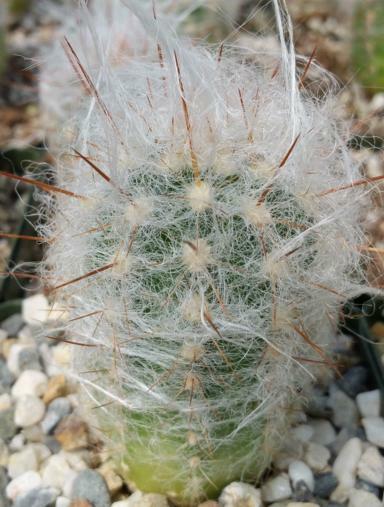 Some Orocereus species can tolerate short periods of frost, especially if kept dry. They are native to Peru, Bolivia and Argentina. Rebutia has become popular mainly because of its freely flowering nature and small size. 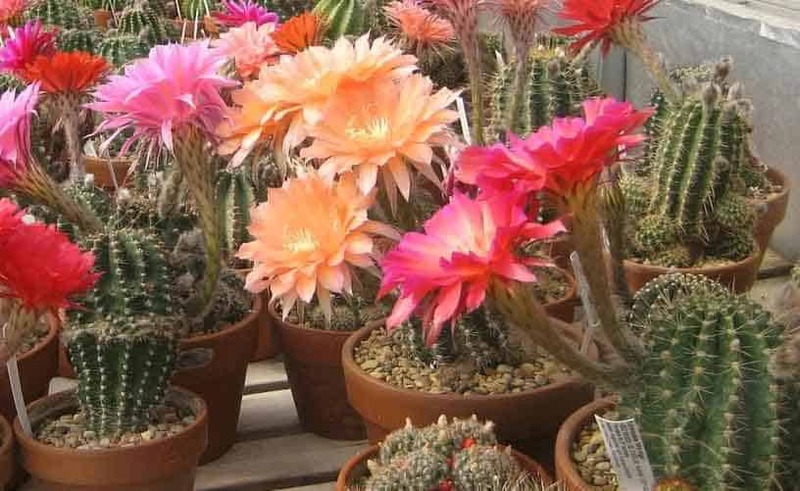 They produce flowers that have a wide range of colors and are usually large compared to the body of the cactus. They range from Bolivia to Argentina, and can form large clusters in cultivation. Some species can tolerate frost and grow well in cooler temperatures. 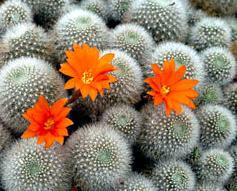 A popular one is Rebutia Muscula or Orange Snow Ball or White Haired Crown cactus. They are densely covered with furry white spines and produce bright orange flowers. Please click on frost protection to get some recommendations on where to purchase frost cloths, frost blankets and greenhouses.